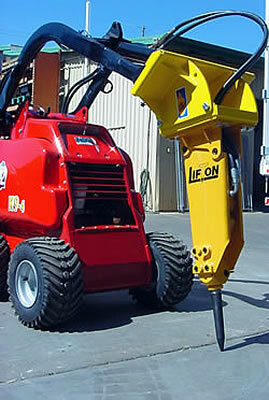 Rig mounted hydraulic breaker. 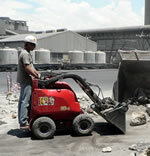 This unit is small enough to fit into confined areas, and it can be hoisted to different floor levels. It can even fit into most lifts. 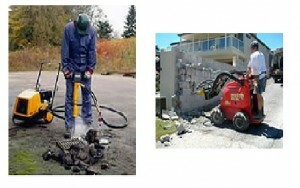 This hydraulic breaker is powerful enough to demolish reinforced concrete. Powerful petrol driven hydraulic hand held breakers. These breakers are very effective and handles easily due to its light weight. 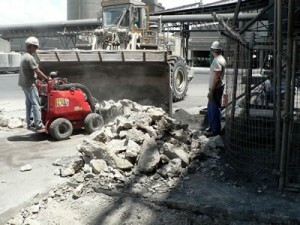 It can be moved around the building site very easily, and fits into small areas.